9. For Wednesday's visit to the University of Aberdeen, the Duchess of Cornwall wore her pearl and diamond earrings with her usual bracelets and rings. 8. Queen Letizia of Spain wore Coolook earrings for the opening of an international tourism fair in Madrid on Wednesday. 7. 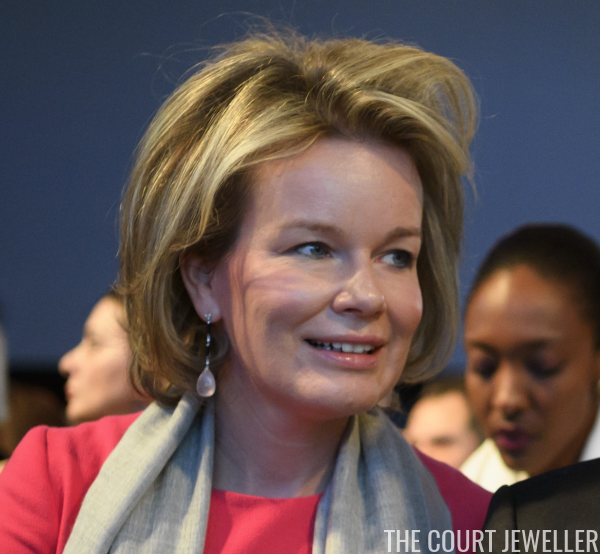 King Philippe and Queen Mathilde of the Belgians are at the World Economic Forum in Davos, where Mathilde wore delicate statement earrings on Wednesday. 6. 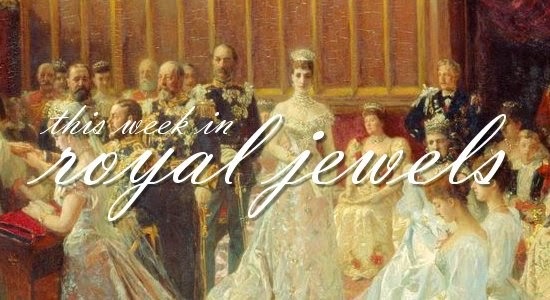 On Monday, Mathilde wore glittering earrings with her usual bracelet, rings, and watch. 5. Crown Princess Mary of Denmark wore diamond earrings and a lovely diamond brooch on Tuesday for a visit to the Copenhagen Baby Heart project in Copenhagen. 4. On Thursday, Queen Elizabeth II of the United Kingdom wore her ruby floral bouquet brooch to attend a meeting of the Sandringham WI. 3. 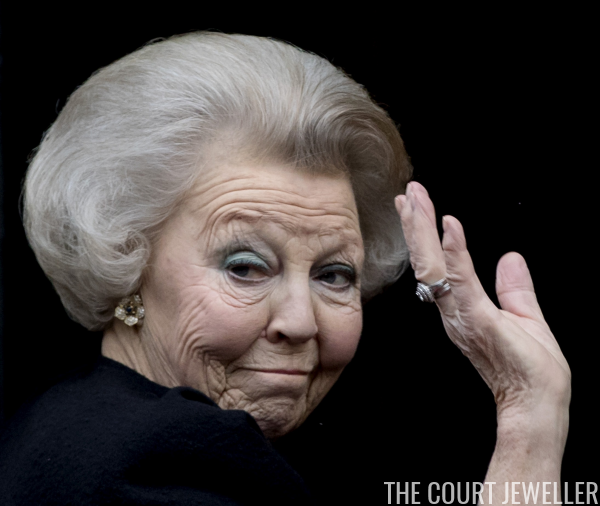 On Thursday, Princess Beatrix of the Netherlands wore floral earrings and her diamond cluster ring for a new year's reception for the diplomatic corps. 2. On Tuesday, Queen Maxima of the Netherlands attended a new year's reception at the royal palace wearing jewels set with colored pearls, including the gray pearl stem brooch. 1. 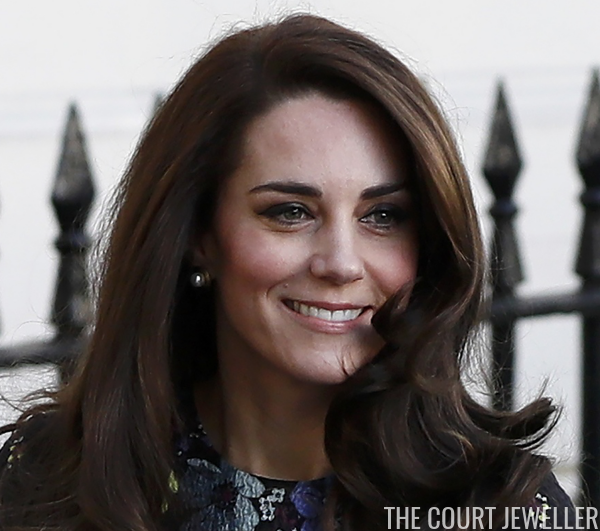 For Wednesday's diplomatic reception, Maxima brought out some major daytime jewels: her diamond and ruby earrings, plus the family's diamond moth brooch.